A six-mile section of a paved bicycle and walking path adjacent to the Historic Columbia River Highway in the Gorge reopened to the public Friday, Sept. 28. The Historic Columbia River Trail, between John B. Yeon Trailhead and Cascade Locks, has been closed since Sept. 4, 2017, two days after the start of the Eagle Creek Fire, according to a press release from the Oregon Department of Transportation (ODOT). "The reopening of the state trail is a major step in the economic recovery of the region and brings us a step closer to make sure visitors from across the state and around the world can again fully experience the majesty this area has to offer," said Gov. Kate Brown in the release. The Historic Columbia River Highway from Ainsworth to Bridal Veil, which is adjacent to the recently reopened trail, remains closed because of lingering effects from the Eagle Creek Fire. The Eagle Creek Fire began when a then 15-year-old Washington boy threw fireworks into the Eagle Creek Canyon. The fire eventually consumed more than 48,000 acres in the Gorge. 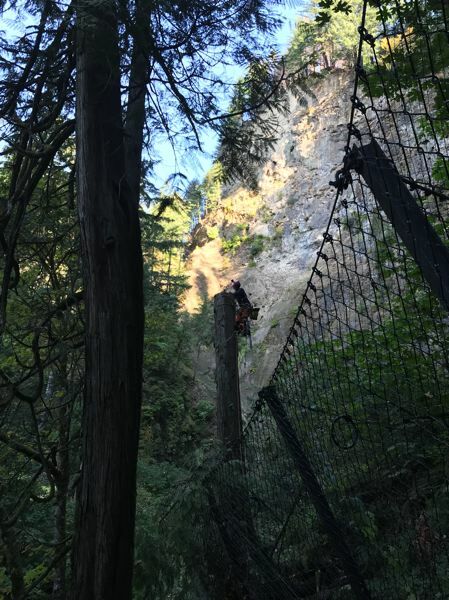 Since the containment, more than half of the Gorge trails closed from the fire have been reopened, said Rachel Pawlitz, U.S. Forest Service public information officer. "This is a big win for both Troutdale and Cascade Locks," Pawlitz said of the latest reopening.
? The U.S. Forest Service parking lot and day-use area at the Eagle Creek Recreation Site off of Interstate 84, approximately three miles west of Cascade Locks. The trailhead area and trail itself remain closed.
? National Forest System lands near Eagle Creek Overlook Campground north of I-84, approximately three miles west of Cascade Locks.
? The parking lot at the Toothrock Trailhead, off I-84 approximately five miles west of Cascade Locks.
? The parking lot at the John B. Yeon Trailhead, off I-84 approximately three miles east of Warrendale. Unpaved hiking trails at John B. Yeon remain closed as does the trail to Elowah Falls. To see the latest updates on trail closures in the Gorge, visit ReadySetGorge.com.